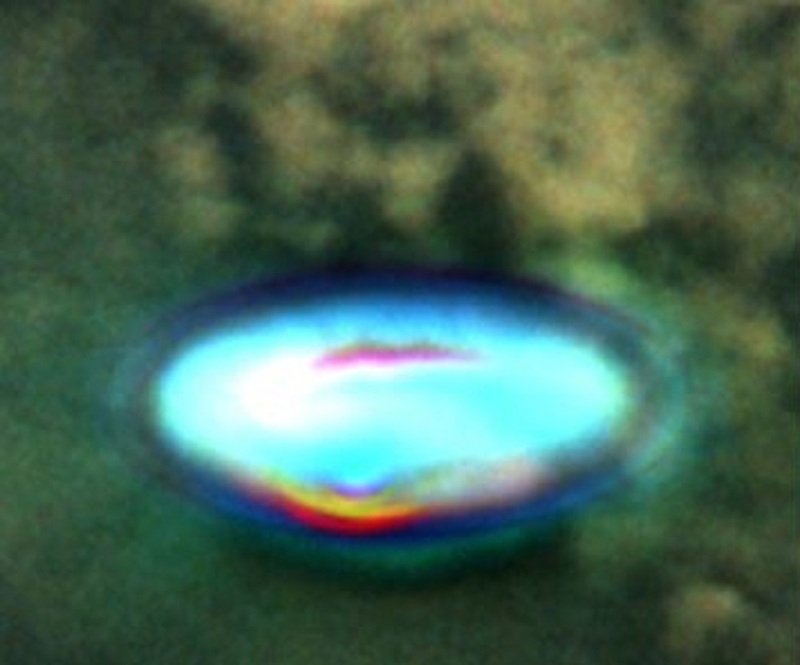 I believe I had seen a ufo, yesterday, on September 26,2018 @ 5:00 to 6:00 pm. Pasco road approaching Boston road in the South Eastern sky. Sunny, clear blue sky with large white clouds high in the atmosphere. The phenomenon that I witnessed occurred an estimated 100 of feet below the clouds. The phenomenon did not interact with the clouds that we’re well defined in the blue skies. 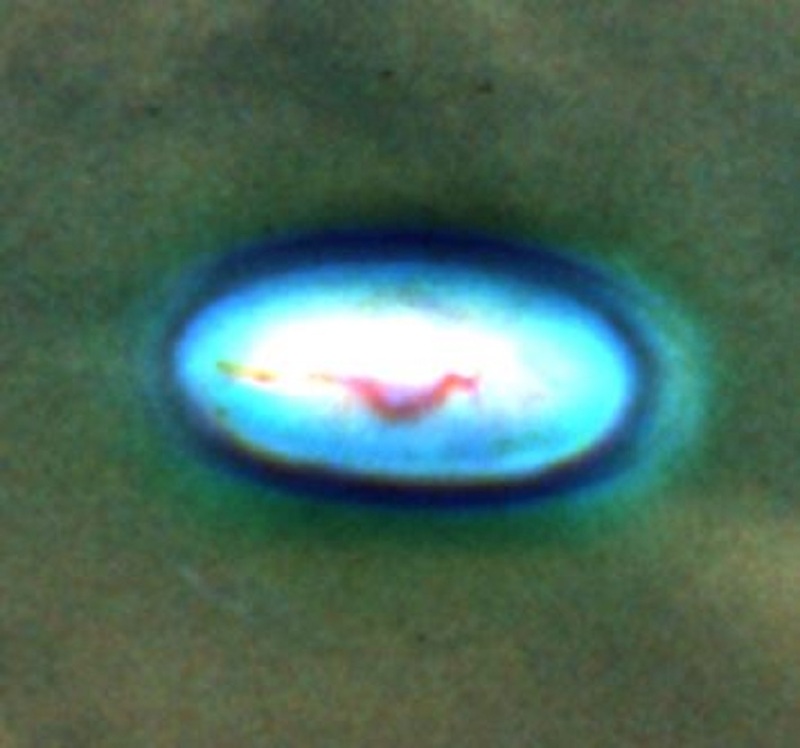 I saw 3 manifestations of this phenomenon, including the sudden emergence, what appeared to be cloaking, a high speed repositioning, a disapation of cloaking like cover,and finally a stationary white cigar shaped object that appeared to be illuminated by sunlight (glow). The emergence of the phenomenon appeared out of no where directly in my front view. I was drawn to the area by a blinding flash, like someone would shine sunlight from a mirror into your eyes. 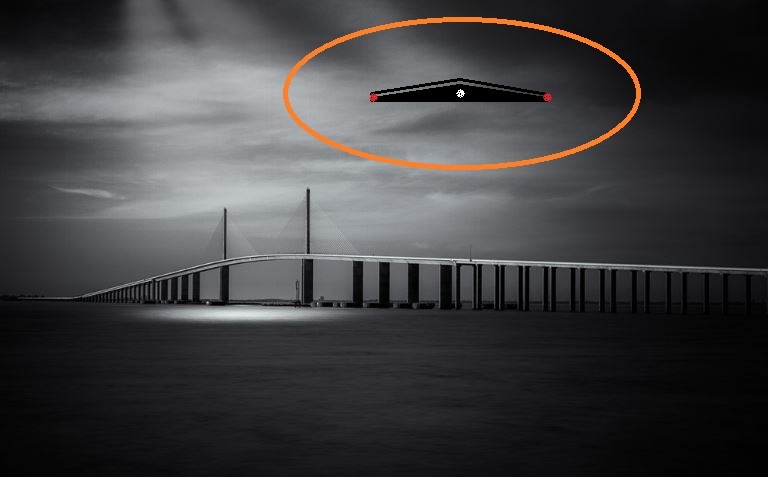 I assumed it was a reflection of an airliner from the suns reflection, I have seen this many times. 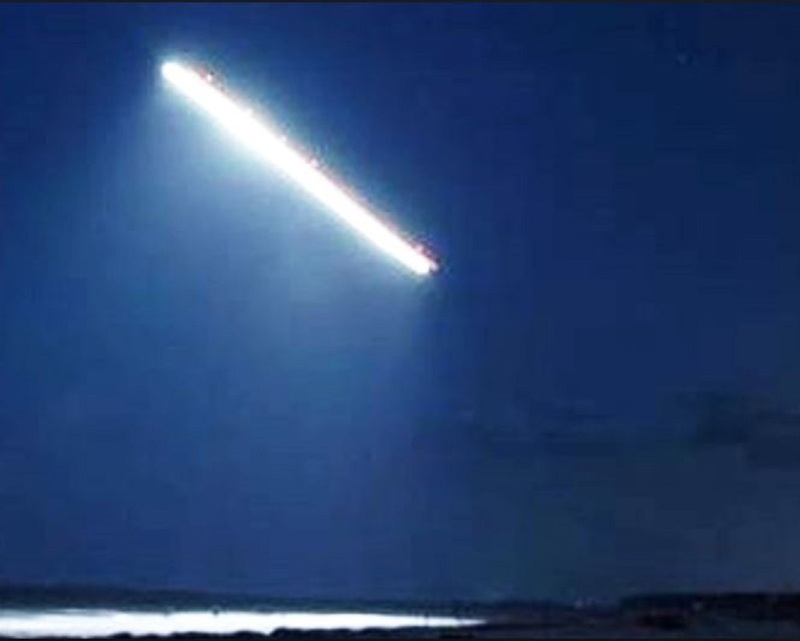 I looked again to see the airliner as I always do but what I saw appeared to be a very reflective metallic like Mercury object reflecting the sun light off of it but not directly toward my eyes. I was driving in traffic and was mindful of other cars around me, but kept glancing at this unknown. 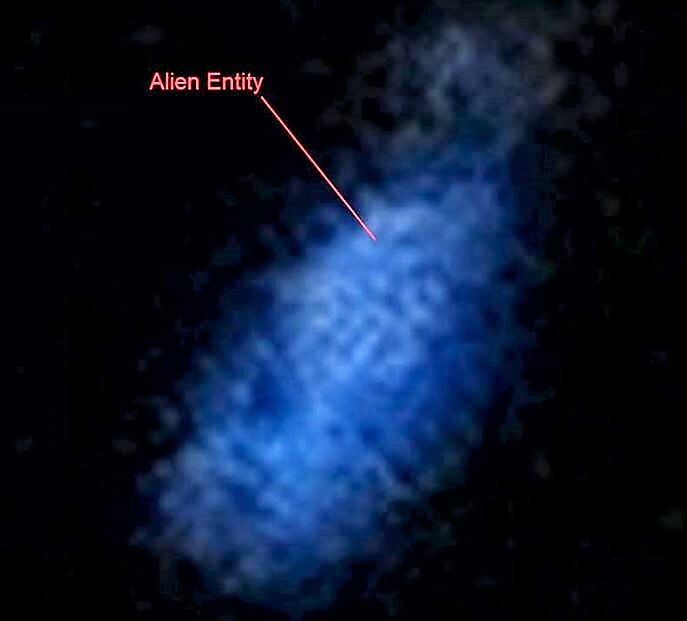 As quick as it appeared it changed, it appeared to look like a fuzzy,dark grey cloud or emmissions, it also appeared beyond this fuzzyness was a more solid object of the same grey color. I then saw this “dark cloud” move quickly to a new location further east hundreds of yards away just below the well defined clouds in the sky. 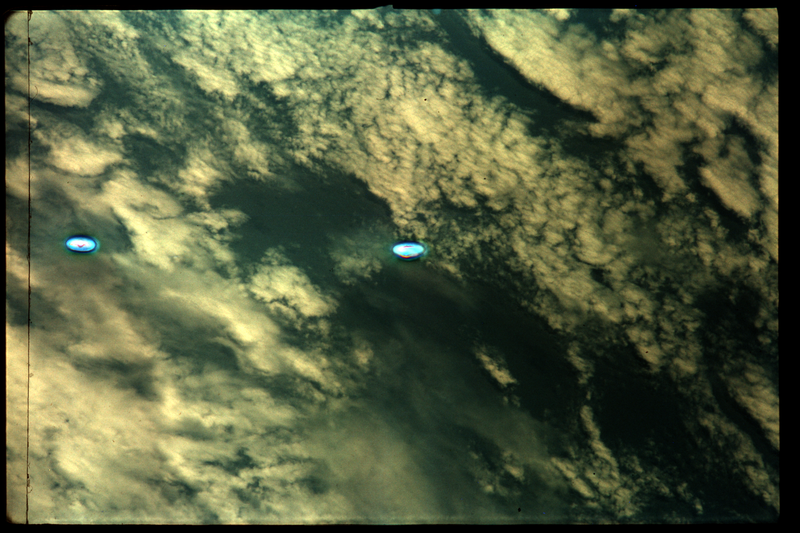 Lastly, I noticed the dark cloud disapating and out of no where to the right of the emmissions appeared a white glowing cigar shaped object. It was no longer reflective like Mercury or a mirror, but solid white and glowing like it was basking in the sunlight. Being in traffic, I had changed direction to West on Boston road and lost sight. 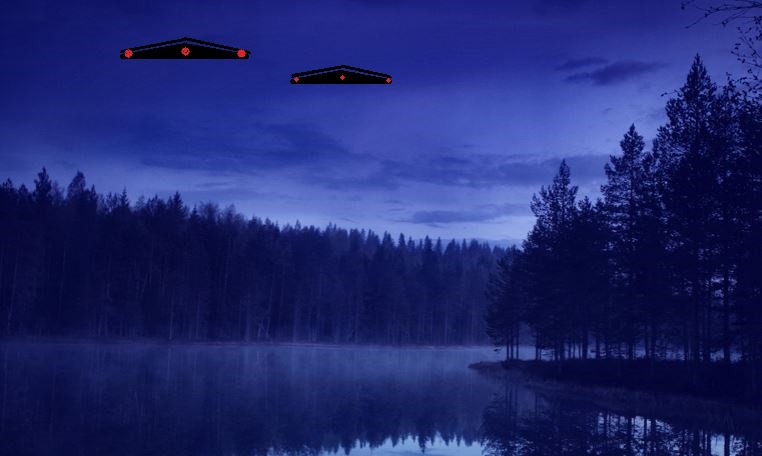 I abandoned any attempt of collecting any more information on what I saw and quickly dismissed it by say to myself, “nobody would believe me anyway”, I would like to state, I am not a UFOer, I do believe there are UFOs or intelligent life somewhere out there. I am of sound mind, and was only limited in my ability to observe by the distraction of driving. Thank you for reading. Sincerely NOTE: The above image is CGI. At approximately 10:30pm, Saturday night, while vacationing on a lake in St. Germain, Wisconsin, my son and I decided to stand at the end of a pier and look into the sky. The pier went south onto the lake and gave us a good look at what we thought were the planets Jupiter and Mars. The night was perfect to see stars because there were no clouds in the sky and we were miles and miles away from the lights of a big city. After a few minutes we turned our attention to following satellites slowly moving across the sky. 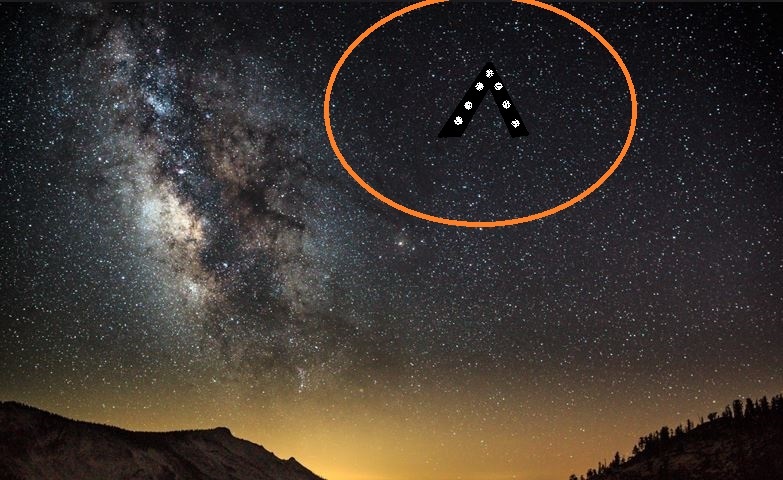 After following the path of a satellite, my son and I had both ended up looking into the northeastern part of the sky. As we watched the satellite move, two illuminated objects came in, and out, of view moving at a high rate of speed from the east to the north. One following exactly behind the other in a perfect line. Both were the exact same size and shape. 10 times bigger than a star in the sky. They were shaped like a triangle and seemed to be a yellow/! orange color around the edges. Each object had perfectly straight sides. 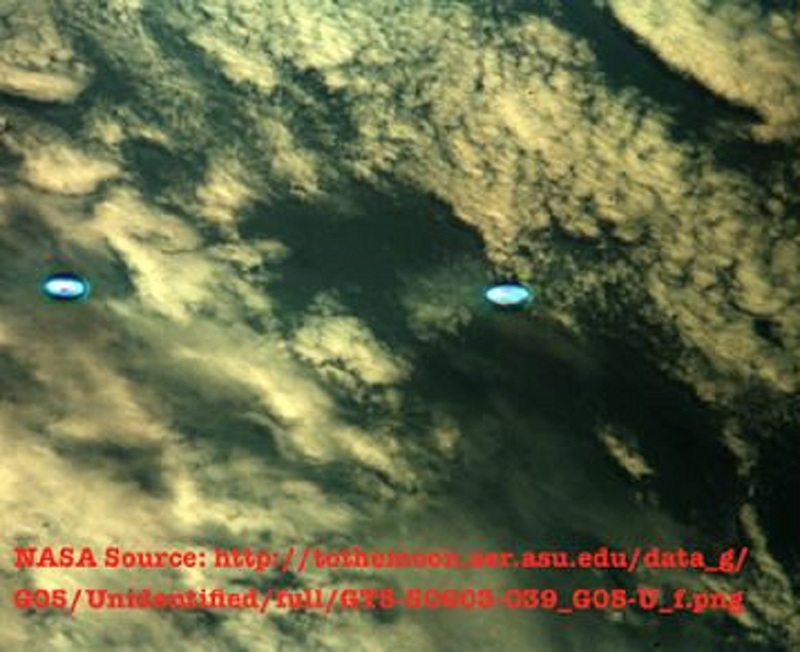 Each object was bright enough to see but they did not light the entire sky up when they passed in and out of view. It appeared to be more of a glow around them. Each object came in and out of view within 1-1/2 seconds with 1 second between each object. Neither object was in the sky at the same time but because I was still looking in the direction of where the first object moved I seemed to have a better view of the second object. 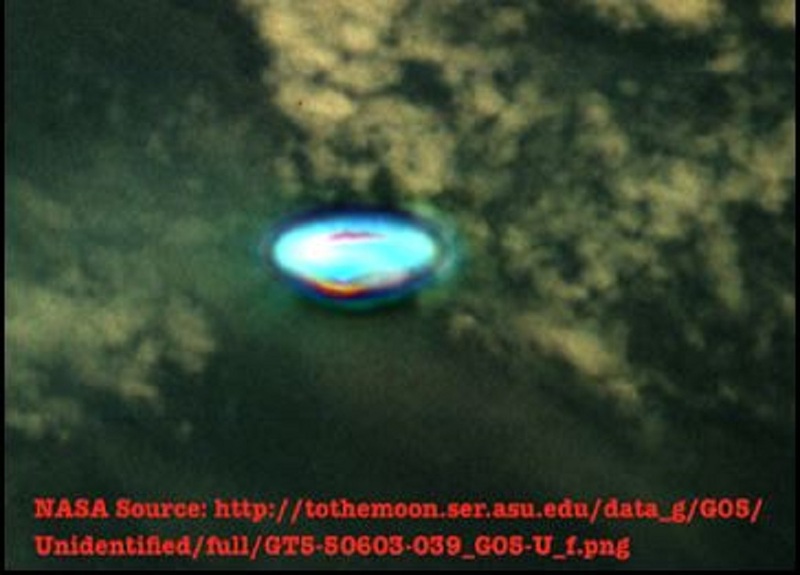 The objects were not directly above us but close enough that it appeared we were seeing the bottom of the objects. The angle the objects were from us made them seemed like they had a flat bottom. We stared into the sky for 15-20 minutes longer hoping to catch another look at what had passed over head but we didn’t see anything like that move across the sky again.